Fr Eamon Kelly SMA died peacefully on Thursday, 29 November 2018, in St Theresa’s Unit, African Missions, Blackrock Road, Cork. Though enduring ill health for many years, Fr Eamon was involved fully in the life of the community up to recent days. He died peacefully at 10.45pm, aged 82 years. Reposing at the African Missions, Blackrock Road, Cork. 7pm, Monday, 3 December: Prayers for the Dead followed by removal to St Joseph’s SMA Church, Wilton, Cork. 12 noon, Tuesday, 4 December: Concelebrated Funeral Mass followed by burial in the adjacent community cemetery. To follow the Funeral Mass at 12 noon on Tuesday, click here. Baptised as Anthony Edward Kelly he was always known within his family as Eamon, the youngest of four children born to John J and Josephine [née Kerrigan]. His father died when Eamon was a child. Though born in Baylough the family later lived at 17 St Paul’s Terrace, Athlone, Co Westmeath. His sister, Dolores [Brady] and his brothers Michael and Jude predeceased him. He was baptised on the day after his birth in the Church of St Peter & Paul, Athlone. He was also confirmed there on 21 May 1947. His mother’s brother, Fr J P Kerrigan, was a priest of Elphin diocese. Eamon did his first year of secondary schooling in the local Marist Brothers Secondary school and then transferred to Summerhill Diocesan College, Sligo, where he completed his Leaving Cert in 1954. He decided to join the SMA and from 1954 – 1955 and entered the SMA Novitiate at Cloughballymore, Co Galway. He did his Philosophy studies in Wilton, Cork, and the African Missions Major seminary in Newry, Co Down. He also studied Theology in Dromantine before becoming a Permanent member of the Society on 14 June 1960. He was ordained a priest in St Colman’s Cathedral, Newry on 21 December 1960, one of a class of 23 priests. Eamon was always of a frail disposition though he never spared himself. His return to the seminary in 1958 was delayed due to ill health. Following Ordination he was appointed to the Prefecture of Ilorin, Nigeria, arriving there on 12 October 1961. In April 1963, ill health forced his return to Ireland and, while convalescing, he was appointed to the Formation staff, replacing Fr John Clancy, at Cloughballymore where he was greatly respected and loved as a kind and gentle teacher. During his time in Cloughballymore, one of his responsibilities was to help students with speech problems. After recuperating he was back in Ilorin in October 1965 where he served until forced home again by ill health in June 1978. At that time his doctors told him that he should not return to Africa as his health was too fragile. After a Sabbatical programme in 1978 / 1979 he spent some months working in St Joseph’s parish, Brighouse in west Yorkshire. He returned to his home diocese, Elphin, where he served from October 1979 to December 1982, in the parish of Ballinaheglish. When he went there the Altar meant he had to celebrate Mass with his back turned to the people for Mass. He wrote to the SMA Provincial Superior about this, “it was a real come-down for a fellow just finished a Liturgy updating course in Carlow!” During his years in Elphin, he also taught Religion in the Roscommon Vocational School. In August 1980, Fr Eamon was transferred to Kilmactranny parish from where he informed one and all that his phone number was Geevagh 11. His final parish in Elphin was that of the Holy Trinity in Mantua, Ballinagave. Still yearning to serve the Nigerian people for whom he had a great love and respect [and despite the doctor’s advice], he returned to Ilorin in August 1983. He served in Ekan Meje and Omu-Aran. His final parish was St Cyprian’s in Offa which had a large number of outstations. He left Nigeria for the final time in 1988 and had a quadruple bypass that October in the Mater Hospital, Dublin. From then until his death last night, Eamon’s life was a series of health problems. But this did not blunt his enthusiasm for exercising his priestly ministry. During his first period in Ilorin, Fr Eamon was a very able and welcoming Administrator of St Joseph’s Cathedral parish and also served in St Barbara’s parish, New Bussa. He learnt to speak both the Hausa and Yoruba languages. 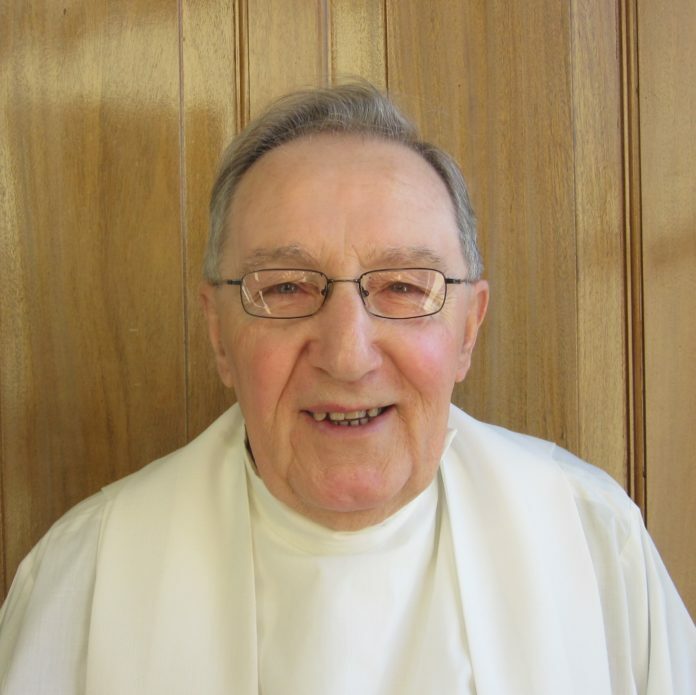 From 1989 – 2012, Fr Eamon served for periods in Birmingham and Clonfert dioceses as well as in the SMA parish in Wilton, Cork, as well as living in Athlone with his brother Jude, who died in 2006. For many years he helped out in many local parishes and was Chaplain in the Mercy Convent, Summerhill, Athlone. Since 1990, he has been undergoing treatment for cancer. In 2012, Fr Eamonn retired to the African Missions, Blackrock Road, where he engaged fully in the life of the community. In particular, his beautiful singing voice was a welcome addition to the community celebration of Mass. He took his turn at celebrating the community Mass at 10.30am until he was unable to stand for an extended period. On more than one occasion, quoting Galileo, he said, “You cannot teach a man anything; you can only help him to find it within himself“. Fr Eamon spent his life in helping others to discover the potential that was within them, particularly the Spirit of God which imbues us all. He was a gentle man and is fondly remembered by his nieces Ann-Marie Brady and Edel Quinn, and his three nephews, Patrick Quinn, Eamon Quinn and Paul Quinn. He is also mourned by his sister-in-law Renee Kelly, his SMA confreres and all those whose lives he touched with his gentle pastoral care. Rest in Peace, Fr Eamon.